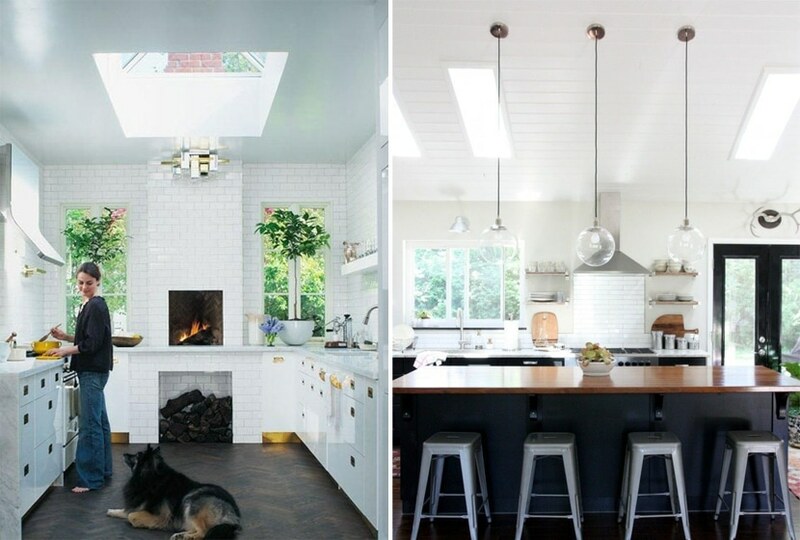 Having natural kitchen lighting is always a great asset to any area of your home – nobody likes a gloomy space! 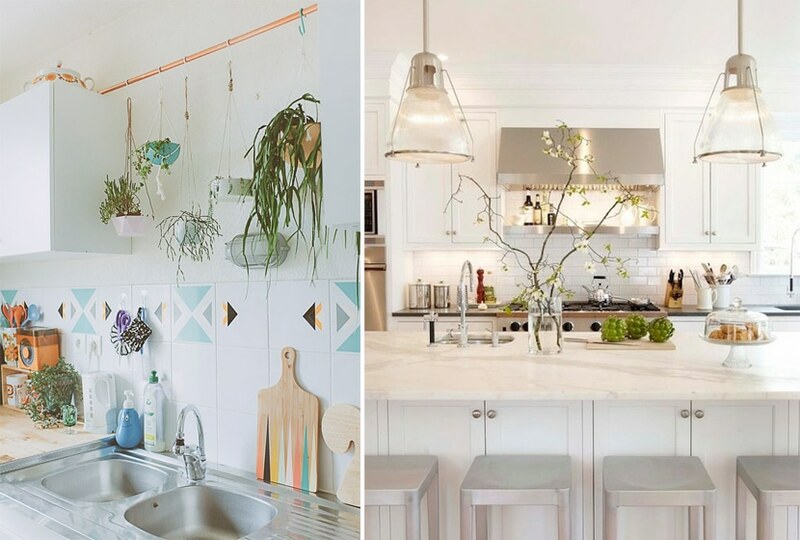 But especially in older homes, the kitchen is often a room that misses out on natural daylight in favour of the traditionally social rooms, like the living or dining room. 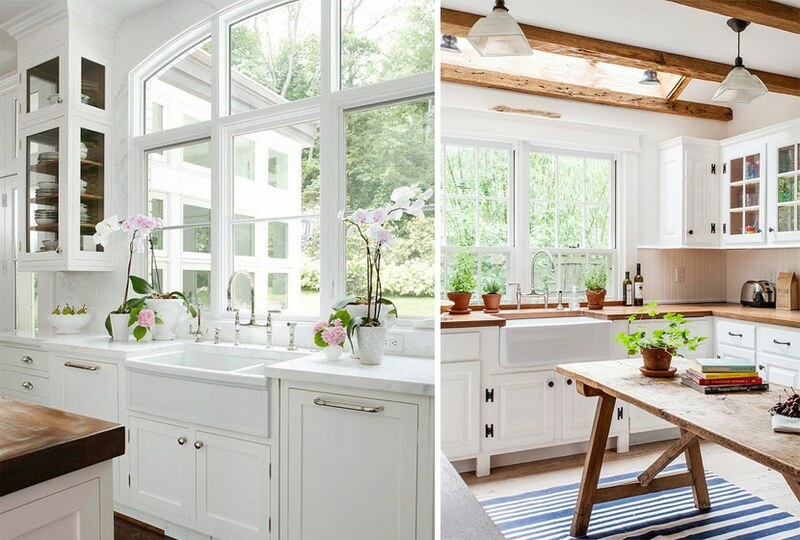 Even if your kitchen does not have plenty of natural light, you can still get the sunshine streaming in with these 5 clever ideas. Sometimes, getting more light into the kitchen is as simple as replacing the back door with a glass door. Doors have a very big surface area which can allow for a large amount of light to enter the room. Barn doors are great in the kitchen because they allow flexibility in the amount that the door can be opened. If you have pets or small children, it’s best to keep the bottom half of the door in wood and only have glass in the top half. 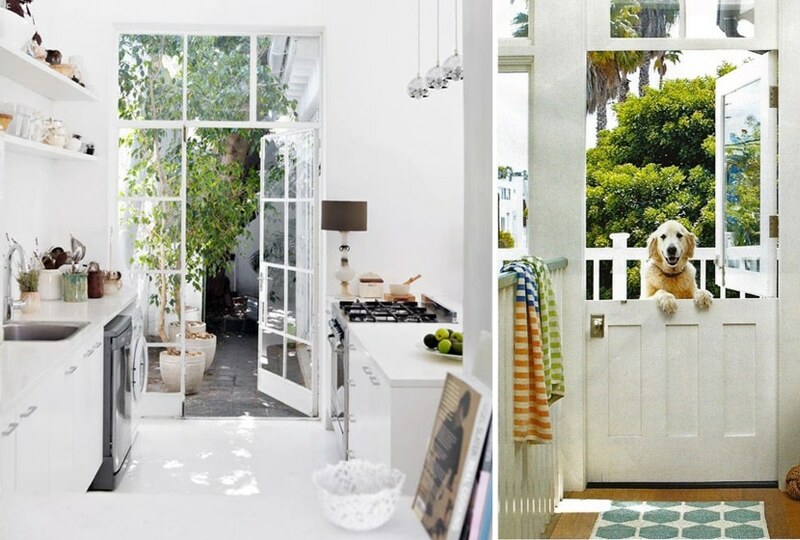 Replacing the entire door with glass French doors are also a great option if you have the space. If your doors are leading out onto a utility area, make sure that it provides a pretty view with potted herbs and flowers. A window over a sink is a great way to get light in as well as provide a view while doing the dishes. If your view is less than desirable – like a dull garden wall – plant it with a creeper to create a lush green wall. If on the other hand privacy is an issue, consider installing textured or sandblasted glass which will allow light to come through without the stares from nosy neighbours. A windowsill close to a sink is also the perfect place to keep a collection of indoor herbs. Skylights allow daylight to stream in through the roof, creating a room filled with natural light. 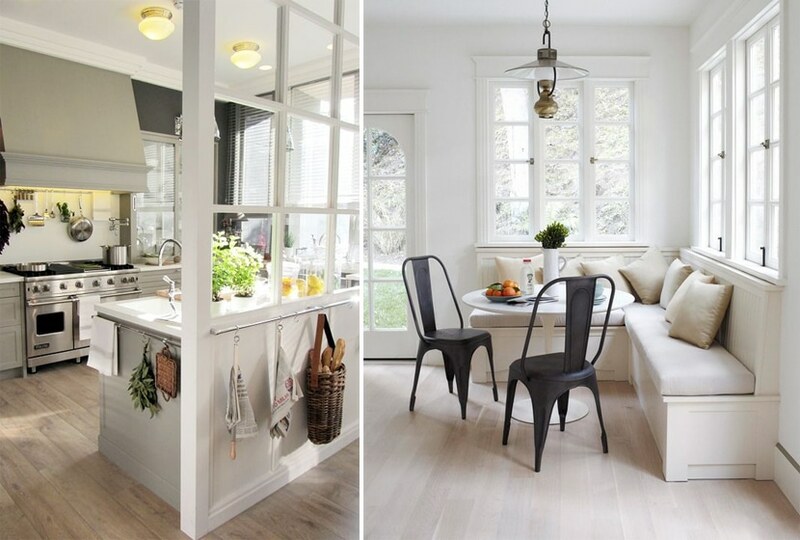 Position them over the main work area: the island, table or counter, which will allow ample light while preparing food and during supper in the summer months. Where skylights are not possible because the roof structure does not allow direct access to the kitchen, light tunnels with flexible light transmitting tubes may be a great alternative. When positioned on a south-facing wall, they will transmit light into the room for as long as there is direct sunlight shining on them. The amount of light transmitted will be greatly determined by the position and quality of natural light, so ensure that you get an experienced consultant to advise on the optimal position for installation. Open-plan living is right on trend and may be the solution to a dark and gloomy kitchen. By removing a wall between the kitchen and a light-filled adjacent room like a dining room, you can visually enlarge the room as well as maximize that natural light. If you are not excited about removing a wall entirely, consider installing a glass wall to allow the light through. Even just a glass pane along the top of the wall will do wonders for the light levels in a dark room.